The National Bureau of Statistics (NBS) Tuesday released Nigeria’s 2018 fourth quarter (Q4) results and 2018 full year (FY) gross domestic product (GDP) figures, showing that economic activities grew for the seventh successive quarter. The NBS report which reveals real GDP grew 2.38 percent year-on-year (y/y) in Q4-18 as against a 1.81 percent y/y growth in Q3-18 indicates the quickest pace of growth since Q3-15, thereby taking 2018’s overall output growth to 1.92 percent y/y in contrast to 2017 FY growth of 0.82 percent. While some analysts state that the growth comes in line with projections others insist the growth figures come as a positive surprise which must be sustained. A review of projections for the Q4-18 GDP reading, showed it came in 26 basis points below Cordros Capital forecast of 2.64 percent, 40 basis points higher than United Capital’s forecast, 21 basis points ahead of Bloomberg’s compiled average estimate of 2.17 percent and on the mark for Afrinvest y/y projections. A glance at the breakdown of the GDP figure shows in terms of contribution, services, industries, and agriculture, respectively, accounted for 53.62 percent, 20.24 percent, and 26.15 percent of overall output growth, contributing significantly to the non-oil sector growth of 2.70 percent y/y in Q4-18. Services expanded by 2.90 percent y/y compared to 2.64 percent in Q3-18 and 0.10 percent in Q4-17, also, agriculture grew by 2.46 percent, 55 bps higher than the growth rates recorded in Q3-18. Manufacturing grew by 2.35 percent 43bps higher than the growth rates recorded in Q3-18. The non-oil sector growth was thus 38 basis points higher than the rate recorded in Q3-18, and 125 basis points higher when compared to the corresponding period of last year, and contributed 92.94 percent to total GDP in contrast to 90.62 percent and 92.65 percent in Q3-18 and Q4-17 respectively. The oil sector on the other hand sustained its contractionary trend into the third consecutive quarter, on account of lower crude production. Oil GDP contracted by 1.62 percent as against an 11.2 percent growth in Q4 2017 and a decline in Q3 2018: -2.91%. The NBS estimated crude oil production over Q4-18 at 1.91mb/d, 0.04mb/d lower than the 1.95mb/d reported in Q4-17. 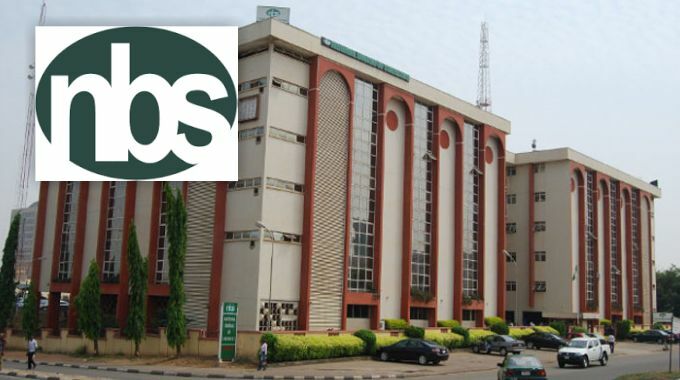 The sector according to the NBS contributed 7.06 percent to total GDP in contrast to 9.38 percent and 7.35 percent in Q3-18 and Q4-17 respectively, during the review period. Explaining fundamentals behind the growth recorded, Wale Olusi, acting head of research at United Capital said the services sector which improved significantly contributed 52 percent to overall growth. He added that the fourth quarter always contributes the largest share to the GDP with about 27 percent, and also explained that the issues around farmers and herders crisis was quite calm in Q4, compared to what was obtainable earlier in the year, hence the positive surprise in the GDP numbers. According to Olusi, these are pointers to the authorities on the importance of certain issues that must be swiftly addressed so as to enable the reportage of more of the kind of numbers the country ought to see. The stock market in reaction to the GDP numbers closed positive for the eight consecutive session on Tuesday as the All Share Index crossed the 32,000 psychological mark following a 2.14 percent growth.